Goddess Parvathy is the kind aspect of Goddess Sakthi. Goddess Parvathy is the consort of Lord Shiva and mother of Lord Ganesha and Lord Subramanya. She is the daughter of the mountain king Himavan. 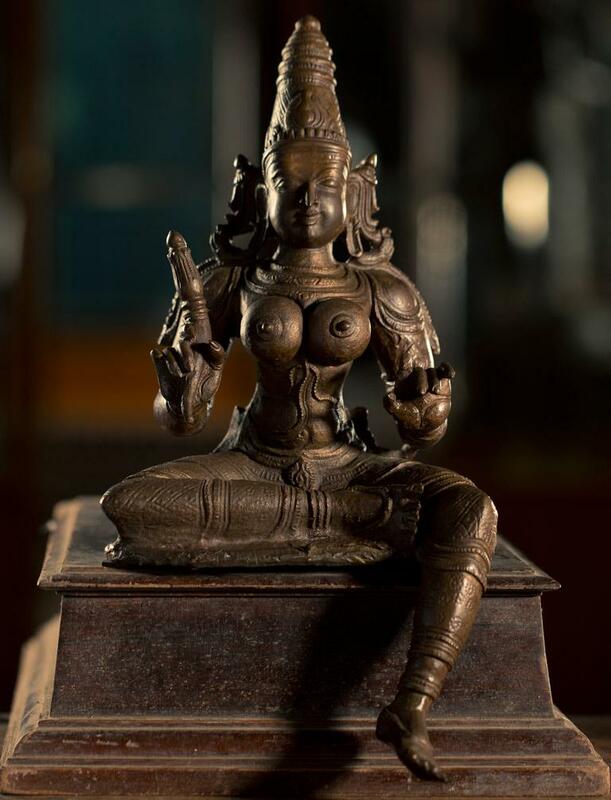 Here, Goddess Parvathy is sitting in sukhasana pose. The right leg is bent. The left leg is stretched out and the right hand holds a flower with a suka.